Cozy Cabin at The Village of Flat Rock, NC, WNC Mountains, discover downtown Asheville, Hendersonville, Flat Rock. 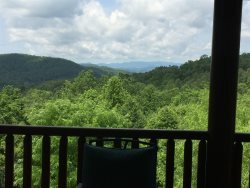 Nestled in the Village of Flat Rock, NC A Simple-Life Community, Cozy Cabin, brand new TINY HOUSE, is the place to feel pampered, unwind, share a new experience together. After cooking up your favorite breakfast in this well designed kitchen, head out to the DuPont State Forest, Carl Sandburg Park, The Biltmore Estate, lunch downtown Hendersonville at Dandelions, dine at Postero's, try a new organic beer at The Sanctuary Brewery, or any other one of the incredible eateries in the area. Come back home to sip wine in front of your fireplace, and sleep in the private bedroom, Brand New Queen bed 2019, or climb up into a cozy, comfy loft into your Comfy Queen bed. FREE WIFI and Cable TV at house. 1 Private Bedroom with Brand NEW Queen Bed,tv, closet with hangers. **Electric fireplace - for ambiance and heat, NOT in photos yet! The Village of Flat Rock, NC A Simple-Life Community Guidelines are posted at the house. Put all trash in the Garbage bags provided and bring bags to receptacles (trash and recycling) near Center on your way out - Thank you.